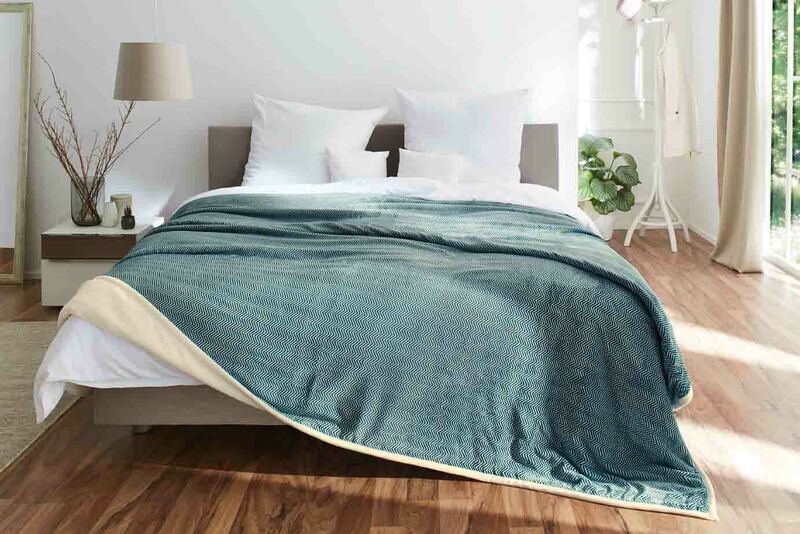 With this throw, you can make your bedroom sparkle with little effort. The top side is decorated with a stylish herringbone pattern while the underside is monochrome. 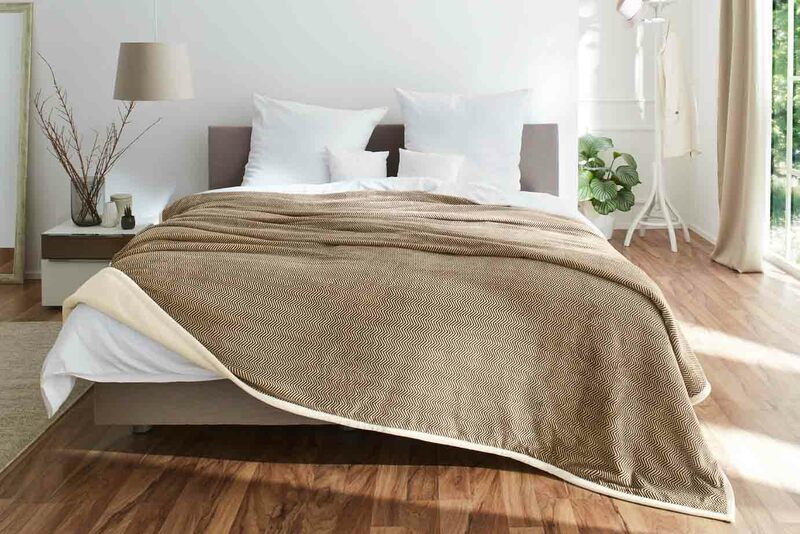 The throw will integrate harmoniously in any interior design concept, regardless of which side you choose to display. 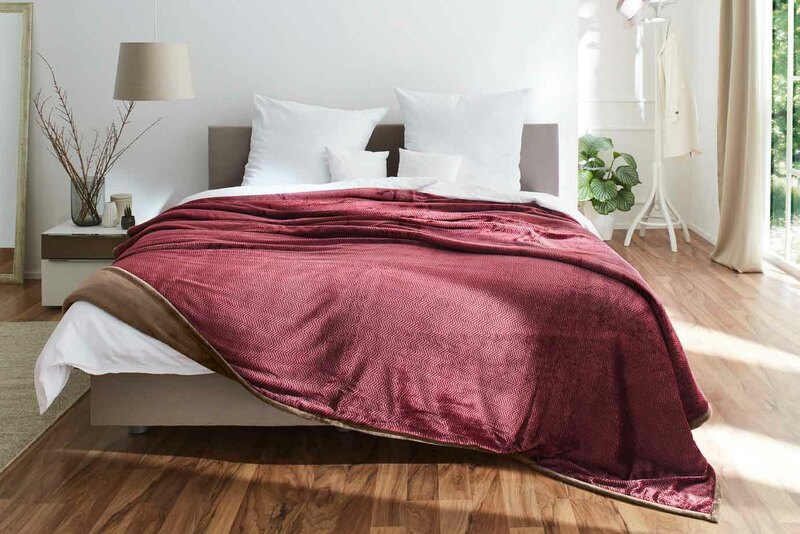 It is available in the following colours: berry, petrol, taupe and silver. The polyester fabric guarantees quality and durability and is easy to clean and skin-friendly. The herringbone throw is available in size 220 cm x 260 cm. 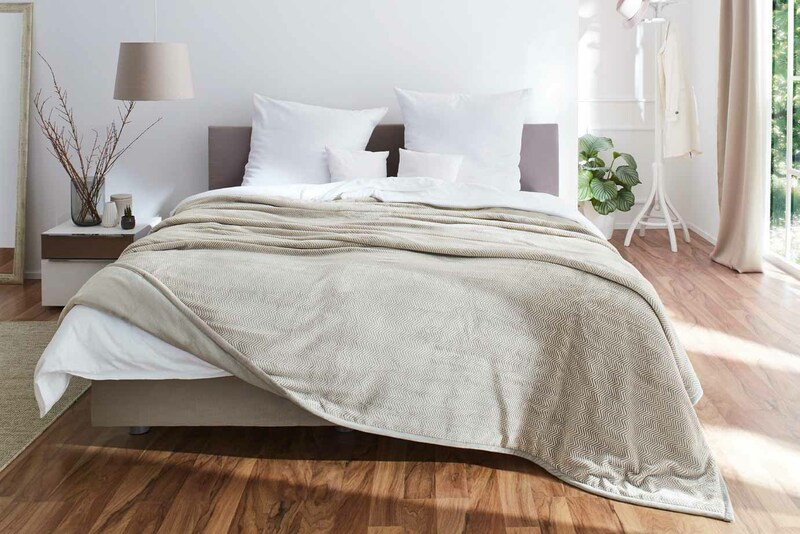 Whether for the bed or sofa, this throw makes a good impression in any room.